Welcome to Stan's Automotive. Automotive electrical systems can cause complex and frustrating issues. Our Auto Repair experts at our auto specialty shop can solve any electrical problem, no matter how complex. "The customer service at Stan’s was top notch. The staff.."
"Always very satisfied. I always use Larry J as my.."
"This was my first visit to Stans. Everyone was polite.."
"They is so good I hate for too many people.."
"Thanks for squeezing me in on yet another busy day..."
"Friendly, honest, fair and fast!" "They were very thorough and communicated regularly with updates and.."
"Very nice, convenient and good price"
"We have been a customer at Stan's for over 20.."
"There is absolutely no question I would recommend Stan's to.."
"I trust Stan's Automotive with our corporate fleet of vehicles..."
"Stan's is simply the best all the way around!!" "The service writers are always courteous and professional. The service.."
"Stan's is the best. Best for service, best for price,.."
"They do good work and are trust worthy. A little.."
"For example, today I had a couple issues with my.."
"Excellent customer service and quality of work☺"
"Stan's got me in and out quickly and fixed the.."
"Quality is always excellent, service honest and friendly"
"I love you guys! Always honest, professional and courteous with.."
"Outstanding quality, great customer service, very experienced team!" "They stand behind their work even if they make a mistake"
"Courteous staff, provide options, fair pricing and great service"
"Quality of work is great and customer service is fantabulous!!" "Great customer service and great expertise!" 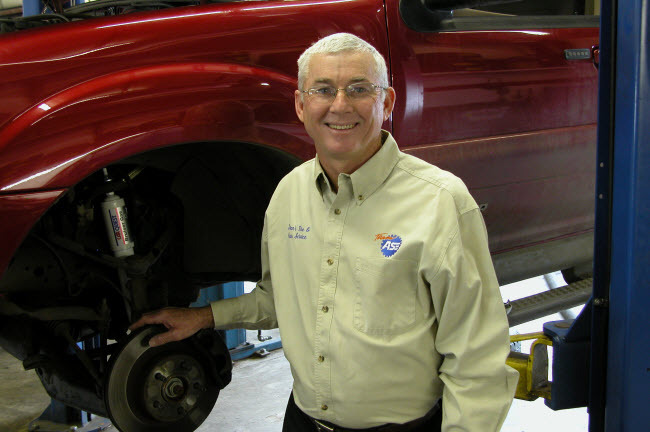 "Stan's Automotive staff is honest and kind. They are professional,.."
"I have always been happy, they do it right first.."
"Exceptional service! Super professional, quick, very comfortable and clean waiting.."
"A repair shop you can trust, I have been using.."
"Stan's Automotive has professional staff, who are honest and upfront.."
"Stan's is the BEST. Best for service, Best for repairs.."
"Stan's is great. I am not sure how their prices.."
"excellent work at a fair price-keep my old vehicles on the road"
"I would tell them that I appreciate being asked before.."
"The best! They get to know a customer as a.."
"Very helpful and prompt service. Fair pricing and quality workmanship..."
"Stan's is the best! The provide exemplary customer service. I.."
"The service/repair the car gets is excellent the customer service.."
"They are honest, have fair prices and do an excellent job." "customer service is top of the line, quality of work.."
"I was very happy with the quality of service and customer service." "Professional, personable, reasonable and honest." "I TRUST Stan's for quality service. I have always.."
"Best automotive service you can find, plus nice people and clean facilities"
"Friendly staff, offered a ride to bring me to my.."
"Stan's quality of work and customer service are top notch..."
"Stan's is the best. Honest, thorough and fairly priced." "Stan's was efficient, timely, and a pleasure to work with. Thanks." "Stan's does great work for great price"
"They aren't always perfect, but they always try to make it right." "they are honest and don;t try to pressure you into.."
"Stan's Automotive is the best! Best for customer service, best.."
"That the service at Stans is very good and I recommend them." "I would recommend and have recommended Stan's because I trust.."
"Excellent customer service and quality of work. I highly recommend.."
"Great quality of work and customer service." "I've been going to Stan's for 10 years and they.."
"They stand by their work." "Excellent. Very nice facility and waiting area, fantastic customer service,.."
"Stan's does a fabulous job, the quality of their work.."
"I am a regular customer for routine maintenence and repairs..."
"Strongly recommend auto service at Stan's." "Honest, trustworthy, will only do work that is required." "I've been a customer for over 25 years and the.."
"The customer service is great, very friendly service. My car.."
"They stand behind their work, even if they make a mistake." "Very satisfactory. Fast. Correct. Trustworthy"
"The quality of work is good and consistent. They make.."
"No need to worry! Stan's Automotive has always provided complete satisfaction." "Work and customer service is great." "Stan's always goes above and beyond my expectations. They provide.."
"Only the highest quality work rolls out of Stan's." "Very good customer service. Ingrained with the community. They remember.."
"Honest, prompt, and thoughtful. True pros!" "My tire was damaged in a pothole and my car.."
"Greg is the real deal, his professionalism and honesty is.."
"Great customer service and very professional shop personnel." "I always recommend Stan'S. The only bad thing that has.."
"I am very satisfied with Stan's. I first used their.."
"Stan's has provided constant quality service. My only concern is.."
"I would recommend them to Stan." "try them - they are our choice"
"They make an effort to make you feel welcome and seem honest." "service and quality always excellent"
"That they over charge you and that they try to.."
"Nice guys; timely service; comfortable lobby to wait"
"Stan's is an excellent place to take your car. We.."
"They are professional, honest, and reliable." "Always good service at a fair price." "We have been going to Stan's for our automotive needs.."
"They absolutely stand behind their work and they are fair and honest." "Not a big chain business so you get personal attention.."
"Always friendly, fair and trusting. Regularly gives a heads up.."
"Honest estimates and great service"
"My family's autos have been serviced by Stan's for decades!.." "The best shop around, great customer service, honest and quality work." "It's a great place! I recommend to my family and friend." "Outstanding quality and customer service. I've been going there for.."
"Appears to be great! The technicians and office staff have.."
"The service is excellent; issues are always fixed the first time around." "Initially costs appeared a bit high, In reality I am.."
"Excellent & more importantly, honest." "I have used Stan's for my car for my whole.."
"Stan's is a very friendly and high quality auto shop..."
"absolutely trustworthy and always very helpful. I have been a.."
"The guys at Stan's always treat me with respect and.."
"I am very happy with the service I have received.."
"The service is excellent, the people are very honest and.."
"I would recommend Stan's without reservation! Everything is wonderful." "Always friendly, professional, honest, and competent service! Great Job!" "Stan's service and quality of work is outstanding. They are.."
"Stan's did a great job of installing Bilstein shocks and.."
"it is great. GO THERE"
"They are the best shop around here. They really know.."
"Stan's has not only the best customer service but they.."
"They are the best; you can trust them." "They are terrific. They are conscientious and diligent." "We have been going to Stan's for 4 years (when.."
"Always honest, reliable service.Good crew, fine mechanics." "As always you are the best." "Highest level of quality of work and customer service -.."
"Stan's Automotive does a great job with whatever service my.."
"Always feel that I am getting an honest explaination of.."
"They are nice, caring and fair people." "They're extremely competent, honest, do outstanding work and provide great.."
"Stan's is top notch and I highly recommend. From customer.."
"I ALWAYS recommend Stan's I have gone there for years.."
"Stan's tells you what they're gonna do and then they.."
"We have been bringing all of our work trucks and.."
"Get there as fast as you can. Have some hot.."
"I would tell them that you provide excellent service." "I have confidence and trust in the work and integrity.."
"Stan's is excellent. They do great work and don't try.."
"High quality, honest work, very professional every time I get.."
"Stan's has always been thorough, reliable, and honest. All of.."
"They stand behind their work. If they cause a problem.."
"Great technical abilities at an affordable price." "I would and already have told others of your excellent service."